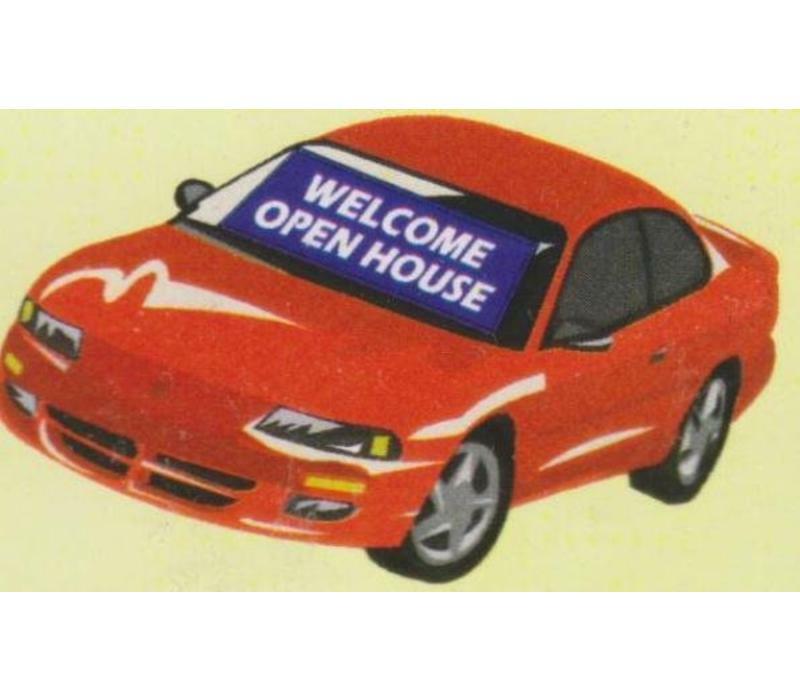 Real Estate Products-Windshield Banners-Welcome Open House-Blue-NEW! Proudly made using Ultra-Tough Rip-Stop Nylon in the USA! 44" (top) X 50" (bottom) X 24" (high) with 4 suction cups included. 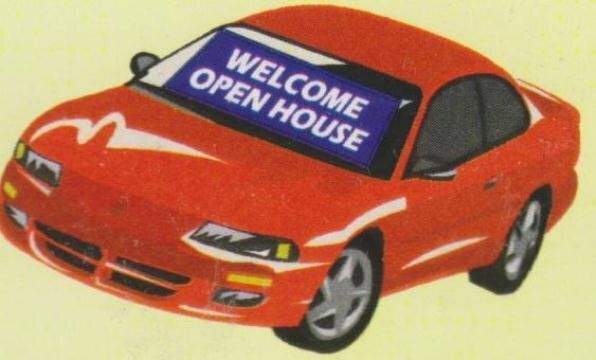 Easy to use great for sign restricted areas!